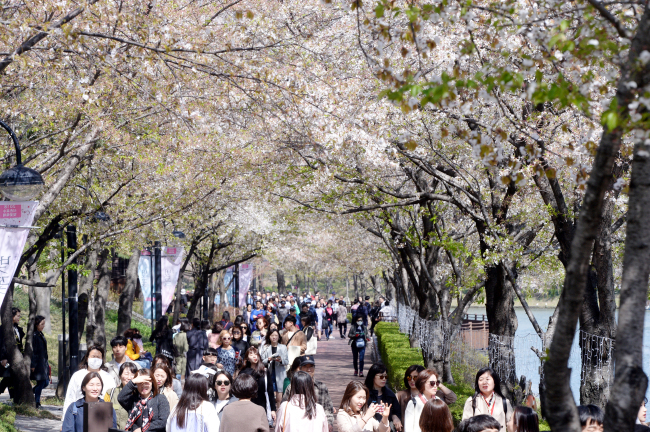 After the brief cold spell Korea meets every year in spring, temperatures have turned mildly warm once more. 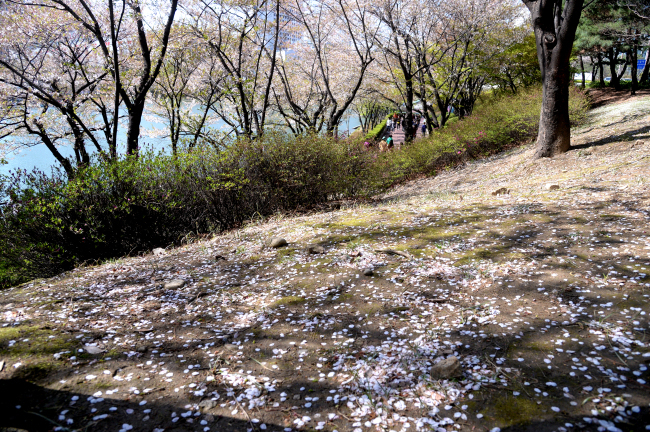 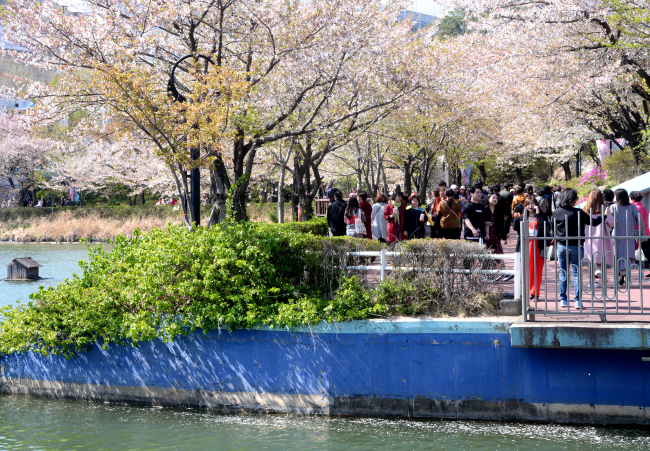 Cherry blossoms were in full bloom on Wednesday afternoon, which saw highs of 18 degrees Celsius, at the Seokchon Lake Park in Songpa, southern Seoul. 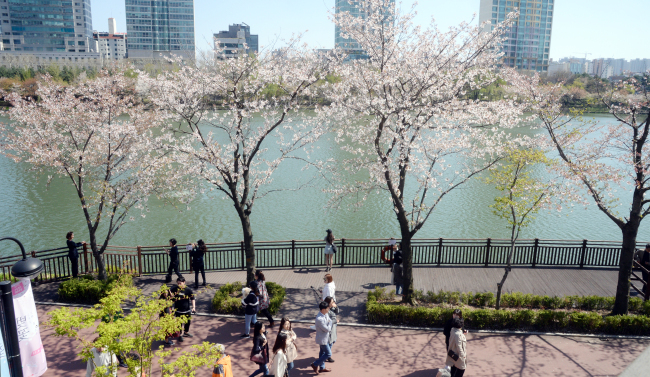 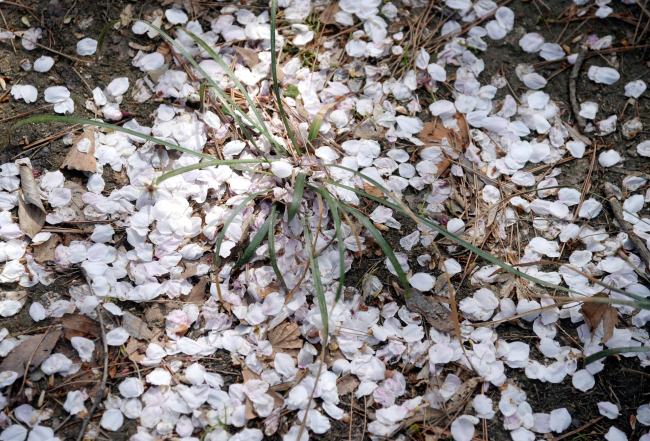 Nearby residents and passersby were seen strolling along the park amid the flowery trees, welcoming the return of spring.